Het huis en galerie op de Lauriergracht 97 is verkocht. De galerie gaat online verder en u kunt werk komen bekijken op afspraak op de Rapenburgerstraat 171C. In maart 2018 hangt er werk van Steven Rutgers in ” This is (not) a shop”, Amstelpassage/ L’il Amsterdam/ Amsterdam Centraal Station. Er hangt ook werk van Steven Rutgers in de studio van Suite Wood. The Loft is a breath taking Amsterdam apartment where a combination of design, art and craft culminate in one inspiring interior design experience. All hand picked and pleasantly pieced together. From the tables and chairs to the carpets on the floor and even the books on the bedside table – everything in the Loft is for sale. During the two weeks the Loft is open, a variety of inspiring events will be hosted in the Loft, ranging from movie nights and poker evenings to dinner clubs and high teas. To stay up to date, ‘like’ our facebook page or click ‘attend’. 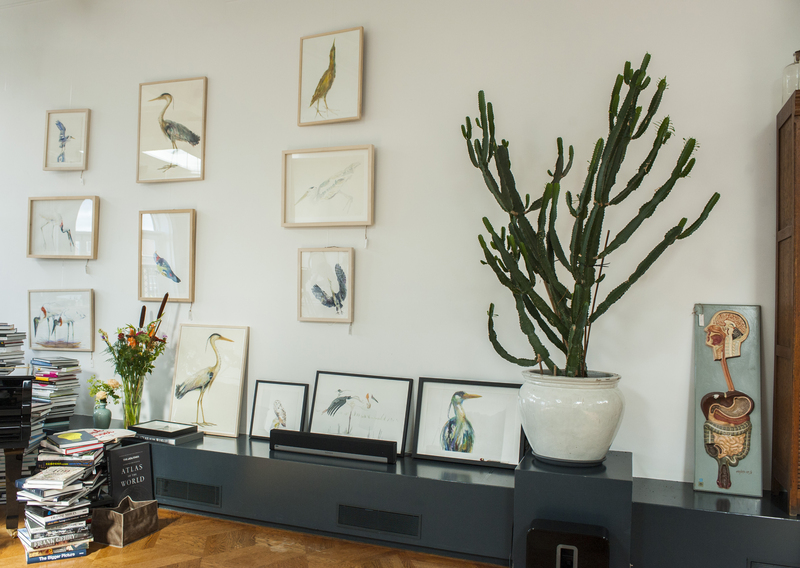 It’s possible to make an appointment with Steven Rutgers to visit the Loft at Prinsengracht 583-V.